In the last week, I was lucky enough to have had the chance to meet up with four wonderful women on two separate occasions! And then we visited a charity shop that was dedicated completely to vintage clothes and items. 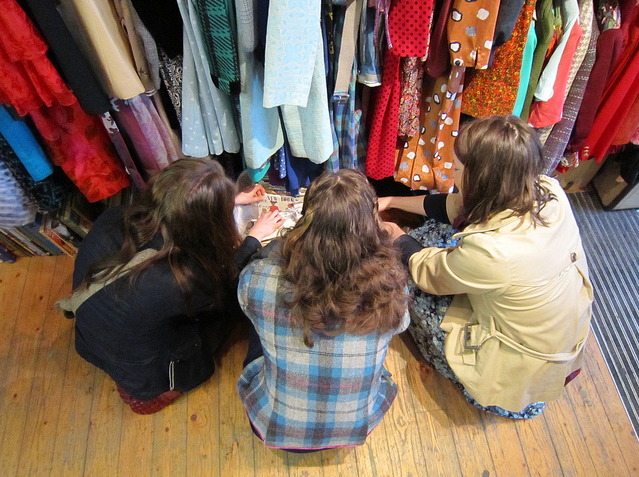 Here we are all kneeling around a suitcase full of vintage patterns (mostly 60's and 70's). I absolutely love this photo!!! Sofia is an amazing seamstress, which must be a family trait because she just so happens to be Tasia the Sewaholic's sister. Sofia and Jen were touring around Europe and were in Scotland for a couple of days and I was super happy to be able to show them around one of my favourite towns--St. Andrews! As you may know, St. Andrews is where Prince William and Kate met. The town is really playing it up for the Royal Wedding and it was loads of fun to see all the decorations and funny signs! In addition to visit the University of St. Andrews, getting ice cream and walking along the coast and visiting the ruined cathedral, we also climbed up to the top of St. Rule (an old part of the ruined cathedral) for some fabulous views around St. Andrews! I had SO MUCH fun with with you ladies!! Thank you!! Lovely to meet you too, Debi! I had a wonderful time. Thank you! I can tell from the pics that you ladies had lots of fun. The view of St. Andrews is absolutely beautiful. 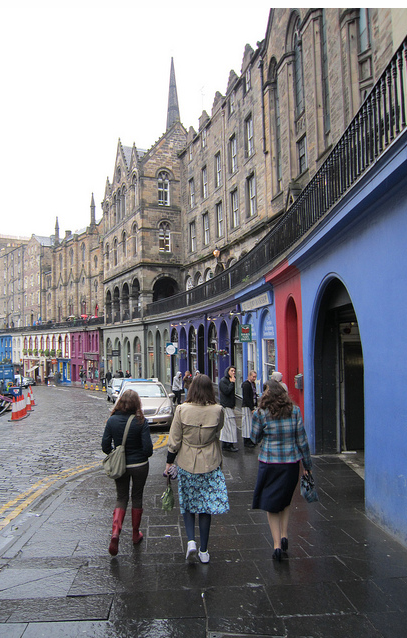 Edinburgh looks beautiful - your pictures always make me want to visit. I meant to comment on your Burda dress below - you did such a creative job on the bodice. It obscures the "gapage" really well. 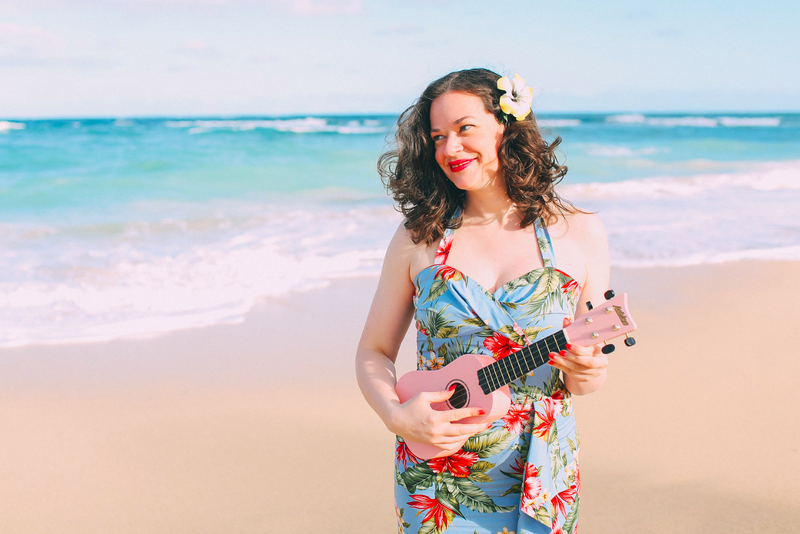 I wonder why that happened; were there any reviews of this dress on Pattern Review? There's a similiar dress in the March 2011 Burda (a wedding dress that I'd shorten) that I'm rather put off from making now. your photos look great, look like you all had a fun time, now I'm even more excited about the SW London meet! Aw, I wish I could come visit, it looks like you gals had a super time. oooh, a double meetup! I had such a fun time with you and can't wait to meet again! No, thank YOU! I haven't had so much fun with a stranger in a long time. (that sounds wrong, but you know what I mean). You were the kind of person that I felt like I knew forever, and was completely content to wander with you all day! Thanks for the best day!!!! !